Published: April 2011. 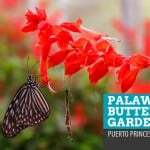 For a more updated guide, visit: Puerto Princesa Travel Guide. 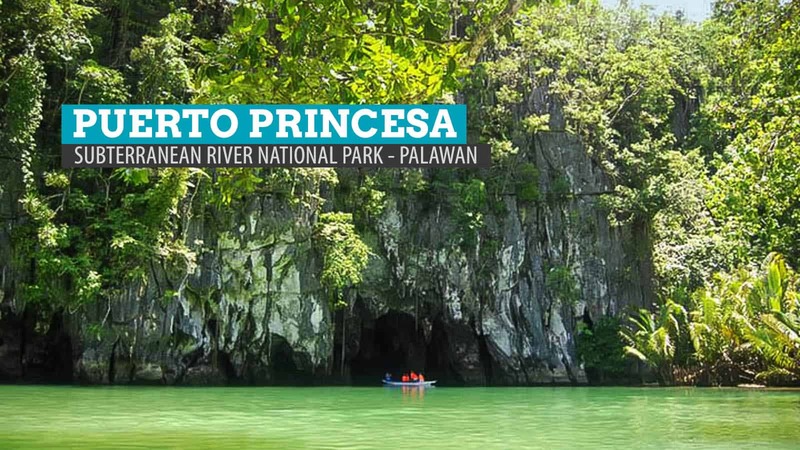 Our original plan was to take Casa Linda’s Puerto Princesa Subterranean River Tour with buffer lunch at P1600 per person. However, the tricycle driver we met (Kuya Ding, 09186620495) referred to us a travel agency that offered the same tour with buffet lunch at a lower price — P1300/pax. We grabbed it. Kuya Ding gave us the number and we contacted them right away. The woman on the other side collected our names because they said they needed it for tourist registration, which should be completed ahead of time. We agreed that they would pick us up at 7am the next day. After our brief talk over the phone we had dinner at Ka Lui Restaurant and slept tight that night. The next morning, Day 2, we woke up early and had a swift breakfast at Casa Linda Restaurant. When we went out, a tour van was waiting for us already and we were greeted by our tour guide. We climbed into the van and found a group of pretty women from Manila already excited about the tour. Apparently, there would be 3 groups sharing the van; 12 people total excluding the driver and the tour guide. It was OK though because the van was too big for all of us. We drove to another hotel to pick up 2 middle-aged Korean men who would be joining us. We were seated at the far end of the van while the 5 girls occupied the front seats so the Koreans had no choice but to sit in the middle. (Somehow, this reminds me of Rebecca Black’s Friday, LOL). Our tour guide was very talkative, sharing experiences and information with us. We liked her. The other groups in the van were very funny and energetic. They would share jokes and anecdotes. There was a stop over somewhere in the middle. At the stop over, there was a store and a small eatery. There was also a small wild boar. And a monkey. Entertaining. 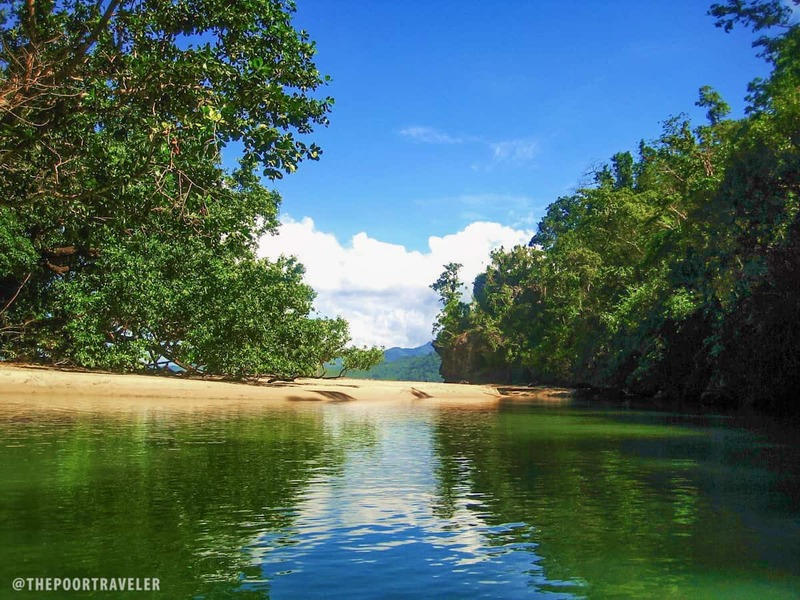 When we finally reached Sabang Beach, we still had to take a boat ride to the Subterranean River. The ride takes a few minutes but the view was FANTASTIC. We could see limestone cliffs everywhere and there were also some pockets of white beaches. We finally reached the national park a bit later. As soon as we hopped off of our boat, we just stood there and tried to take it all in — the gorgeous view, the pretty beach, the idea that we are at a world wonder. And then, camwhoring! 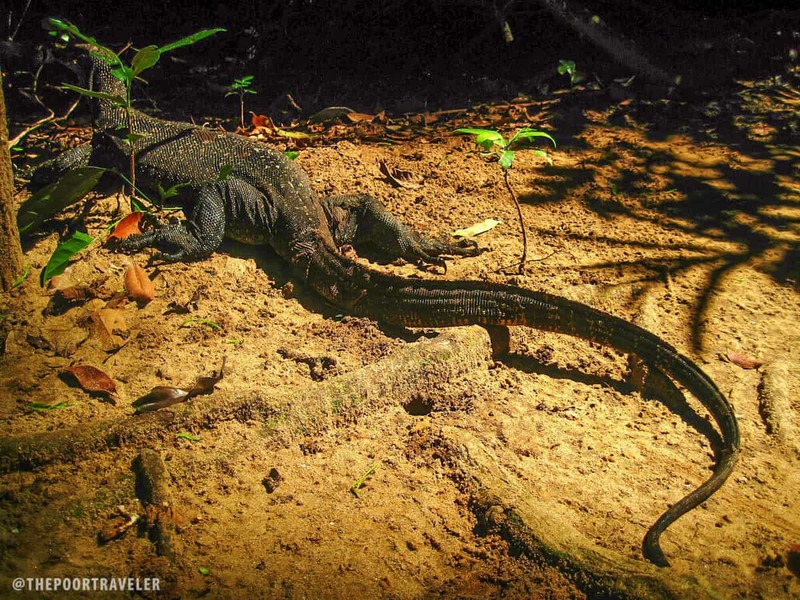 You’ll also find monitor lizards crawling around the site. Limestone cliffs fronting the entrance. We proceeded to the river and fell in line. While waiting, we put on our live vests and helmets. These are required for all tourists. The cave looked mysterious and we got really excited just looking at it. When they called our names, we hopped onto a boat along with other tourists and our boatman started paddling into the cave. 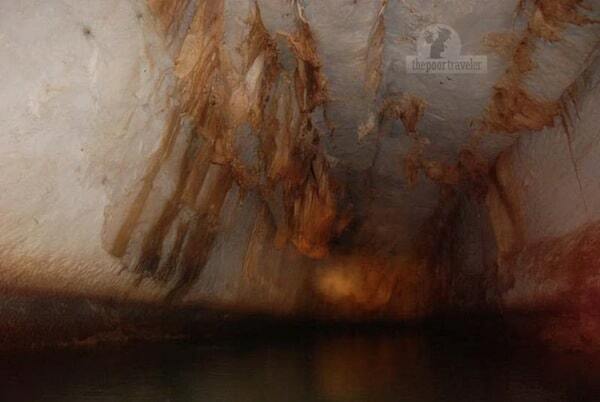 The Puerto Princesa Subterranean River is said to be the world’s longest navigable underground river. It is extremely dark inside. If you’re sitting in the front seat, you will be tasked to hold the flashlight as the boatman-slash-tour guide will be busy paddline. He will show you the different rock formations inside the cave and add some interesting facts about the place. 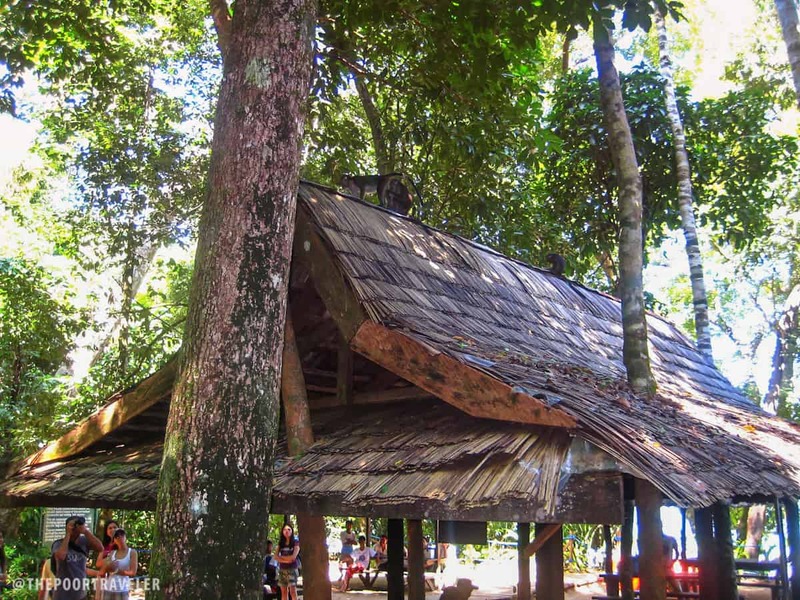 The cave also houses numerous species of bats, birds and reptiles. But no, there are no crocodiles. The view on the way out of the cave. The entire trip inside the cave lasts for a bit over 30 minutes. Medyo bitin, yes, but you will need to have a special permit to go any farther. After our trip inside, we then proceeded to a white beach surrounded by limestone cliffs on the way back. We wanted to go swimming there but it’s prohibited. All we could do was take pics. 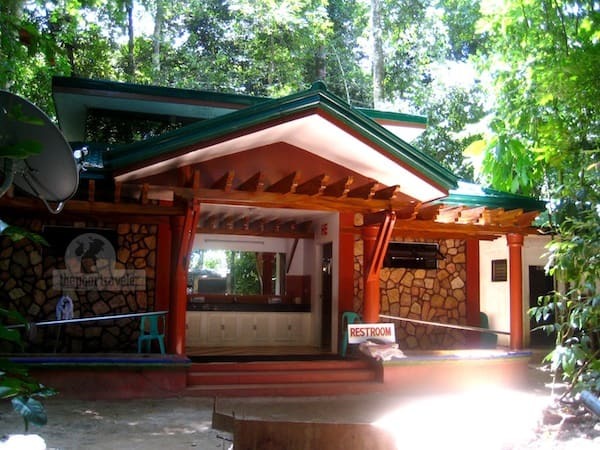 How to get there: Group tours are available at the city center of Puerto Princesa. 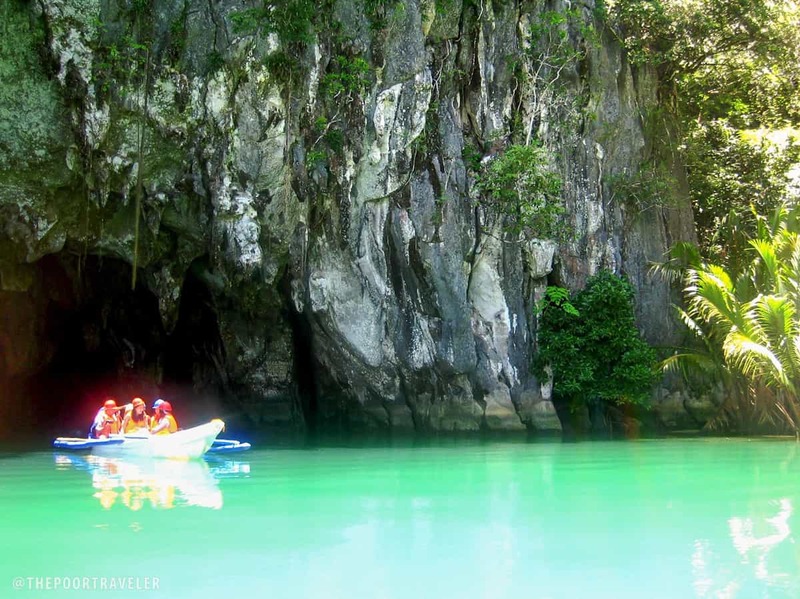 The Underground River Tour will take you to the Subterranean River National Park and Sabang Beach. Most of these tours also include buffet lunch. 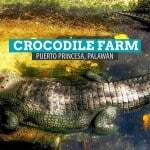 The tour usually costs P1300 to as high as P2500 depending on the tour operator. I will be there on m0nth of June thanks for the info. We didn’t see any monkeys… Saan doon? Hmmfl playing w/ monkey. . Interesting. . Tekke na rin cla. .
tour guides always mention the said statement to threaten or should i say to stop tourist from bringing plastic bags because there is a chance that we might just throw/scatter those plastics within the area. 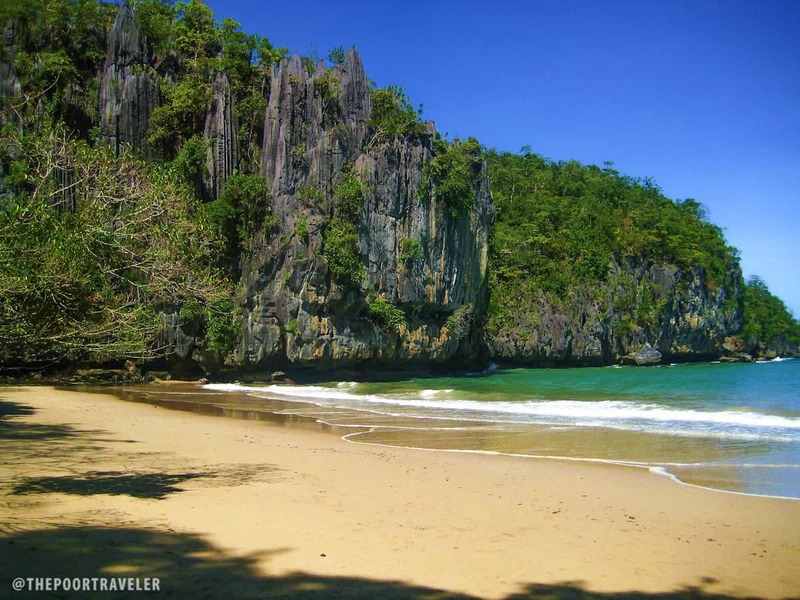 I love to visit the El nido Palawan.And the under ground River soon.thanks for the tips.Totoo ba yan? o charinggggg….. True po. Last feb andun kami while waiting for our boat going sa cave..yung monkey kinuha yung baby wipes sa isang girl..plastic kc yun wrapper akala food ang nasa loob. Thanks for sharing. I’m preparing my Philippine bucket list and this surely is included. I’ll bring along Niagara’s Inniskillin ice wine to pair with giant crab harvest in Gubat, Sorsogon’s Rizal Beach. Hi! May I know the name of the agency for this tour? Affa good place ken. The whole trip out there abd the wait at the mouth was fantastic. Nae to mention the monkeys. I did this tour two weeks ago, it is advisable that one brings her/his own flashlight so you will have the freedom to have a closer look in areas that would interest you more . It is a 1.5 tour only will take 45 mins in total to and fro. That’s a great tip, Grace! Thank you for sharing! Thank you for a very informative post. 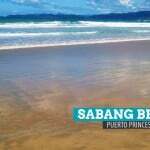 Me and my friends are planning to travel to Peurto Princesa and El Nido for 6 days. Do you think that Kuya Ding’s number is still active? I am currently out of the country so I can’t try to call him. Did you stay at the Casa Linda all the time? Or did you take other hotels than that? Can I have your e-mail address? 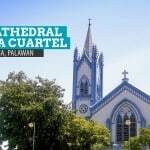 I really want your advice and help about this trip. Thank you in advance!